Dr Dre was more than happy to take on the role of proud parent as he gloated about his daughter being accepted into college with ‘no jail time’ on his behalf. The rapper took to Instagram to write about his daughter’s achievements, and managed to take a dig at some other famous parents while he was at it. Earlier this month, actors Felicity Huffman and Lori Loughlin, along with 48 others, were charged in relation to a massive bribery scam which involved some of the most elite universities in the US. According to TMZ, court records revealed some wealthy parents have allegedly handed over huge bribes – as much as a whopping $6 million – to have their children accepted into schools such as Yale, Stanford, Georgetown, and the University of Southern California. The alleged scam was reportedly uncovered when authorities found a California businessman who ran an operation which helped students get into the university of their choice. Authorities explained parents would pay the man a predetermined amount, which he would then send to one of the school’s administrators or athletic coaches. Athletic coaches would make a fake profile to list the student as an athlete, while administrators would hire someone else to take the student’s exams, or correct their answers. 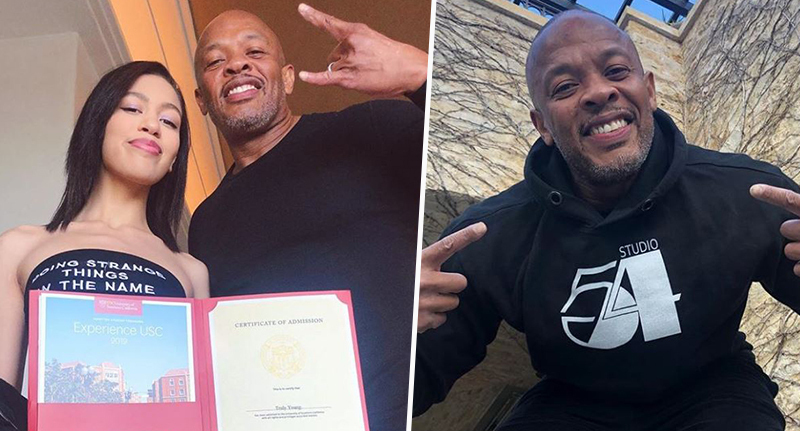 Dre, whose real name is Andre Young, was clearly over the moon to have his daughter accepted to the University of Southern California (USC) in a moral and lawful way, as he posed alongside 18-year-old Truly and the school’s acceptance letter. 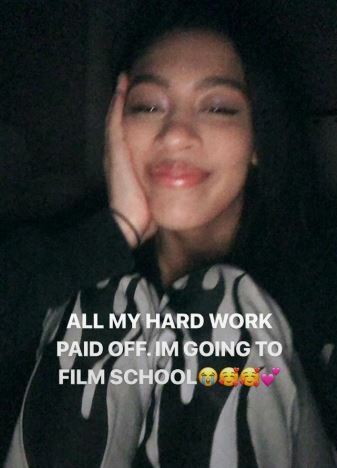 Truly shared the picture with a similar caption, and many fans were quick to compliment her achievement. However, some pointed out that while her dad might not have given the school a sneaky bribe, he wasn’t entirely off the hook. A few years ago, the rapper teamed up with record producer Jimmy Iovine to found the USC Jimmy Iovine and Andre Young Academy. There’s a hall on USC’s campus named after the pair, so it’s clear Dre has some impact at the school. It’s possible he pulled some strings, though the rapper seems adamant Truly earned the place alone. Either way, I suppose at least Dre’s donation to the school is beneficial to other students, rather than solely for the advantage of his daughter.